Founded in the 1780s, Chicago is a highly-esteemed city in the state of Illinois. Positioned along Lake Michigan, it is an international hub for commerce, technology, telecommunications and transportation. 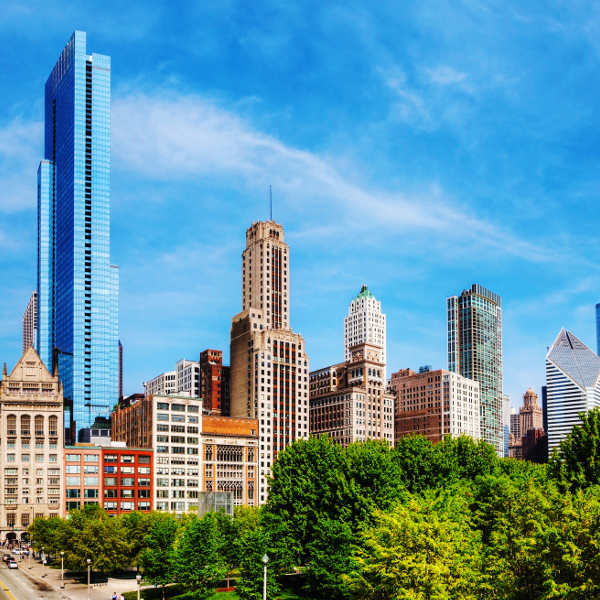 With revered landmarks such as Millenium Park and Museum of Science and Industry, it is no surprise that it is one of the most visited cities in the USA. Cheap flights to Chicago are now available for a limited time only, so book your flight today and be enthralled by the diverse culture and stately landmarks of this lively city! Chicago is home to O'Hare International Airport (ORD), which is a 45-minute commute from the city centre. Explore this diverse city by walking or cycling through its characteristic neighbourhoods. From Korean hotpot along Devon Avenue and Chinatown’s dumplings, to Polish bars in Belmont, you will be absorbed by Chicago’s fusion of culture and cuisine. From classical and Gothic to new-age creations, Chicago is bursting with architectural gems. From the downtown bridge, you can view some incredible buildings, such as the Wrigley Building, Rockerfeller Memorial Chapel and Robie House. A visit to Chicago isn’t complete without a visit to Millenium Park, an iconic backdrop for festivals and concerts. Or head up to the 103rd floor of the Willis Tower and hop into a glass observation box for unbelievable views of the city. The ideal time to visit Chicago is between September and October, if you’d rather avoid the crowds and inflated accommodation prices. This sweet spot also offers cooler weather and soulful jazz and film festivals. If you’d rather be part of the summer hustle and bustle, go between June and August, but be prepared to book accommodation at least one month in advance. You can enjoy outdoor markets, music festivals and of course, the beaches! Some festivals to add to your itinerary include the largest outdoor food festival – Taste of Chicago – in July, funky Lollapalooza in August and Jazz Fest in September. Biting winds and icy temperatures set in between November and March, but this is the perfect opportunity to hit the museums and shop till you drop! Chicago is something of an alpha world city, held in high regard for its economic and cultural influence beyond the borders of the USA. The city itself is a vibrant, bustling metropolis, but the residents are unbelievably welcoming, friendly and warm. And while Chicago is an international hub for commerce, finance, telecoms and transportation, it is also home to captivating museums, fascinating theatres and sprawling green urban areas. With the vast waters of Lake Michigan lapping at the feet of Chicago’s picturesque skyline, it’s no wonder the “City of Big Shoulders” has been the inspiration for many great poets, writers, filmmakers and musicians. 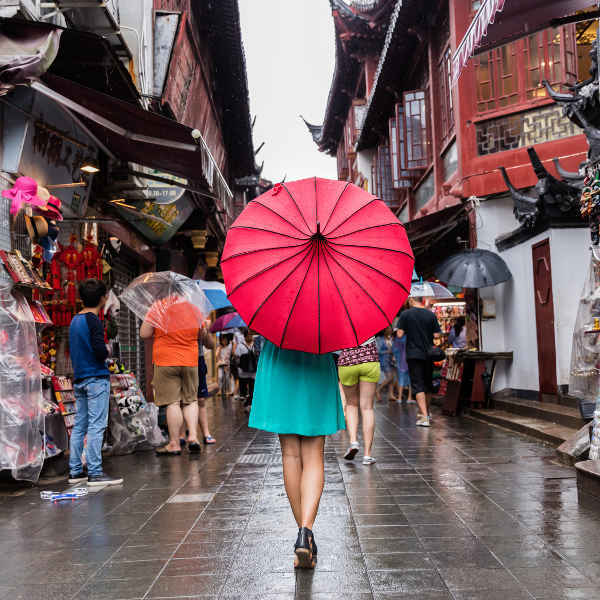 The diverse neighbourhoods of Chinatown, Devon Avenue, Far Southwest Side and Seoul Drive are a melting-pot of ethnicities from around the globe. 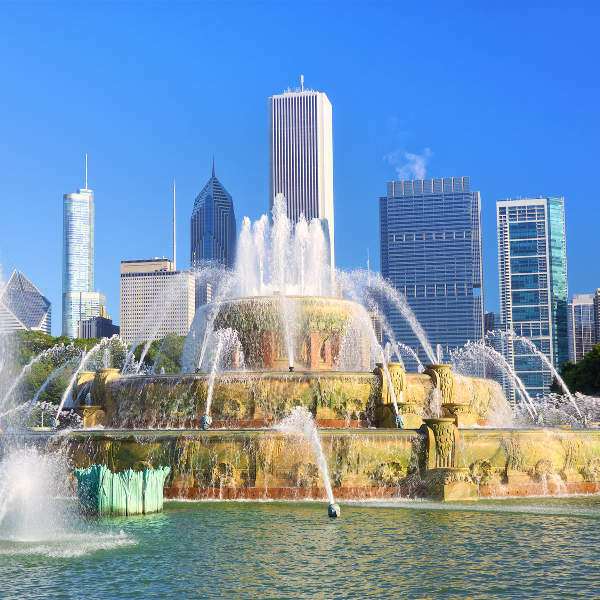 Millennium Park in Chicago is a must for arts and culture buffs, while Museum Campus is a civil engineering wonder with its criss-cross roads that connect the four main museums of Chicago - The Shedd Aquarium, Field Museum, Alder Planetarium and Soldier Field. Lincoln Park Zoo, Judy Istock Butterfly Haven and Grant Park are great nature gardens. Indulge the shopper in you at Michigan Avenue, Lincoln Square and Southport Corridor. Theatre junkies can catch a show at the famous Chicago Theatre after spending a day on the fashionable beaches of Lake Michigan. Compare several airlines and book your cheap flights to Chicago online at Travelstart! Chicago is no different from any other major city in America. As long as you keep your wits about you and exercise regular safety precautions, you’ll have a fantastic time in ‘Chi-town’. Be on the lookout for pick-pockets around bus stations and busy streets. Major tourist areas stay open late into the night, particularly North Michigan Avenue. Downtown is home to a number of vagrants but they are generally harmless. Should you encounter a snowstorm during your trip, stay off the roads and take shelter.